I highly recommend Oceanside Hypnobirthing classes and Doula Services to everyone! Amanda is a gentle soul and has a very calming and consoling presence. We took her in home classes since we live in Wilmington and after one session had to hire her as our Doula! I ended up needing a C-Section due to breach presentation, and it was awesome having Amanda there. She really helped me to keep my mind calm and clear going into surgery. Normally, I am pretty dialed up if I have to have a procedure done (knee surgery, wisdom teeth, minor procedures ) but I was completely calm and actually enjoyed the whole process. Everyone commented on how alert and calm my daughter was for a C-Section baby and I attribute that to my hypnobirthing lifestyle during pregnancy! We did a meditation before I went in and she brought a diffuser to help set the tone. She stayed while we were in recovery and helped to bring our things to our room. Amanda did a great job of being there for us but not being over bearing! I still use the breathing techniques today. Living overseas offers a realm of amazing experiences, although for those who wish to begin a family, being thousands of miles away from family can be overwhelming. I moved to Okinawa, Japan 32 weeks pregnant and it was even longer before meeting the potential staff that would help deliver our son. I sought out a doula so that I could have comfort in personally knowing someone with experience to be there to support our birth. Amanda Dodson has been at both of my births while in Okinawa and each time has been essential in being in tune with my progress and desires and helping communicate both of those with the staff. (Had she not been there with my second son, I’m pretty sure the nurse would have caught baby without gloves on!) Her ability to simultaneously coach and soothe is a gift that helped both my husband and I in having a positive experience of having babies overseas. She is a woman who listens and advocates for the mothers she works with. She represents a mother figure for those who don’t have family that can come out or don’t have a strong network. Beyond her doula services, she is the founder of The Birth Education Center of Okinawa which offers services that the military hospital doesn’t offer, I.E. lactation consultation, support groups of all kinds, etc., services that moms need access to and can have trouble finding overseas, especially with the language barrier. Being pregnant overseas can be scary. You're away from your home and your family. My first pregnancy was more difficult, because I didn't know about the resources available to me, much like many other women. Luckily, the Japan Birth Resource Network has made an effort to change that. Before my second pregnancy, I learned a lot through their first birth and baby fair in Okinawa. 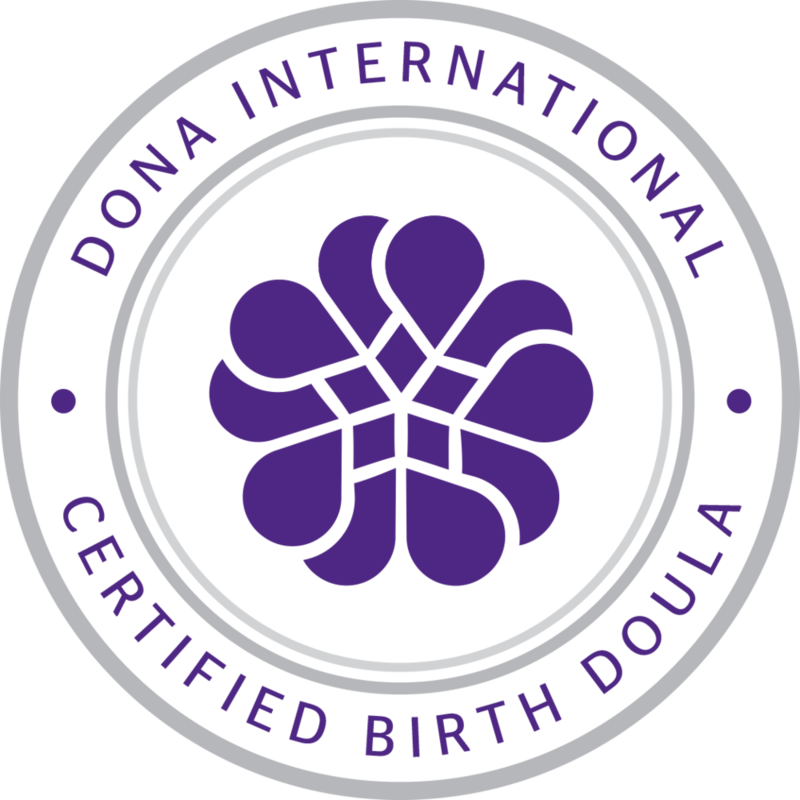 I then chose to go through the birth doula training they hosted. Both of these things helped better prepare me for my second pregnancy. They also hosted several birth talks that I attended and learned from. The main topic, such as discussing birth options on the island, was different each time and someone would tell their birth story. The JBRN also connected me with my wonderful doula that attended my second birth, introduced me to Hypnobirthing, and helped me find my maternity/birth/newborn photographer. My second pregnancy and birth experience was vastly different from my first in an extremely positive way. I have the JBRN, and the women behind it, to thank for that. We took Amanda's course and and we learned very valuable information. As we live quite far and it was difficult to find time, She was very flexible and arranged a private course for us. That was so helpful for us! Thank you Amanda! I can't say enough about how valuable Amanda was to us throughout our pregnancy, birth and post partum period. Her calm reassuring presence helped me to feel safe and protected so I could focus on my experience. The Hypnobirthing classes also helped so much to work through my labor and delivery of my son naturally without any interventions. I highly recommend her services. Her knowledge and skills are priceless. I was having my second child and was not familiar with the hospital, my choices, and had only made a handful of friends. I knew I needed additional support to have my baby; I needed a doula. That's when I found Amanda. She supported me and my husband through my natural birth. I felt so blessed to have the resources Amanda was able to establish through the JBRN. They helped me navigate my birth options, helped with breastfeeding, and gave me access to a network of other new and seasoned mothers to help answer questions, offer advice, and most importantly provide friendship. Being a new mother is hard enough, and you should never have to go through it alone. I couldn't imagine not having the support and resources Amanda has brought to the community. I took Amanda's Hypnobirthing class with my husband and it was one of the best choices I made! She was very knowledgable instructor who helped teach me and my husband relaxing techniques that allowed for a calm, quick, natural labor. This wasn't my first child but the information to aid in natural labor taught in this class was so beneficial. She also provides tons of resources for information! I'm glad I went into my birth knowledgable and prepared. And the best part was she taught my husband how to help me relax and understand the process so he stayed calm! I would have another baby just to use hypnobirthing in labor. Amanda was my hypnobirthing instructor and my doula. I learned so much from the classes. This was my second birth and I really wanted it to go the way I wanted this time...natural! I used a lot of the techniques taught in the classes, and it helped me relax so much. I realized that relaxation was the missing key with my first labor. Amanda was great at stopping me from panicking, keeping me focused and reminding me to follow my body's lead. We got the birth we wanted...completely natural, and I totally put that down to having an amazing doula, and my hypnobirthing techniques. I am very thankful that I had the opportunity to take these classes. I would recommend them to everyone. Having a doula for me is a must. She will be your biggest helper on the day. We decided do have natural birth and choose Amanda as our doula. We took classes with my husband and were getting ready for birth. Amanda was very helpful. We've learned a lot during classes. When my water broke we called Amanda and we've met at the hospital. My labour was 17 hours and after 5 hours of contractions I asked for epidural. Amanda was there with us supporting each step. If you are having labour and have no family with you you defenatelly need Amanda. Amanda was exactly what I hoped for in my relationship with a doula. She was nurturing, knowledgeable and professional and connected me with a network of expecting moms and birthing groups I would never have known about. She helped me through a really difficult birth with premature twins in Okinawa that turned into a circus and she was so calm and reassuring the whole time. She stayed with me and her presence was exactly what I needed. I am lucky to have found her while in Okinawa and certainly would have worked with her again if we hadn't moved with the AF back stateside. My husband and I took Amanda's hypnobirthing class for the arrival of our third baby. 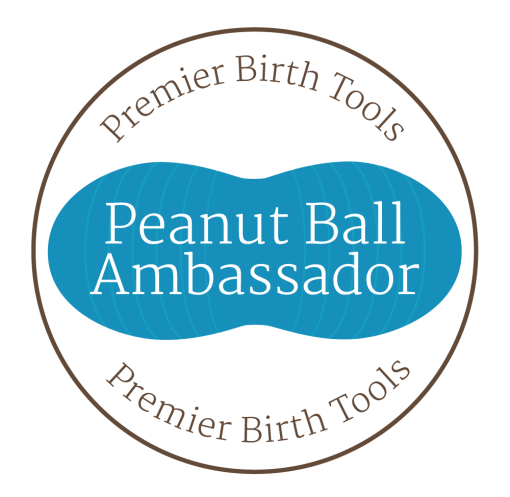 Amanda has such a wonderful, calming presence and a true passion for helping families improve their birth experiences. I was able to apply all of the techniques I learned throughout the classes during my labor and birth, and had an amazing birth experience that we will treasure forever. I will also be using hypnobirthing for the upcoming birth of our fourth baby. I highly recommend Amanda and all of her services. I took the HypnoBirthing classes and loved loved loved them. I'm so glad I educated myself. I wouldn't have been able to have my natural none medicated birth without it. Thank you so much! My Husband and I participated in Amanda's Hypnobirthing class. I'll admit, I was skeptical at first but I wanted to go a different route with my second pregnancy/labor. My first was a "go with the flow kind of labor." That was not the best idea I've ever had....BUT.....taking the Hypnobirthing class was!! Amanda was an amazing instructor, she has such a calming presence about her. 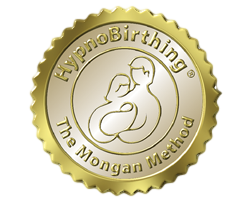 I was able to achieve the natural birth that I wanted and I know that Amanda's Hypnobirthing class had a lot to do with it. Amanda was absolutely amazing as both our hypnobirthing instructor and as our doula. After a birth experience with my first son that was challenging, our second son's birth was just what i had hoped for. Amanda is incredibly knowledgeable and sweet. She guided us every step of the way and I would ask her to be our doula again in an instant. Amanda was an amazing doula and hypnobirthing coach! She helped make pregnancy and giving birth such wonderful experiences. She worked around our schedule for private classes and taught me (and my husband) great techniques for relaxing before and during labor. During labor she let me and my husband labor how we wanted to and knew the perfect times to step in to offer support to me and my husband. She understands women in labor and knows how to coach them through difficult moments. I look back on my birth with such joy and pride. I would hire Amanda again in a heartbeat! She will always have a special place in our family!! Amanda was our doula for the birth of our first son in 2012. The support she provided for our family was very much needed for both my husband and myself. She was also a very good resource for my postpartum period when additional help was needed with breastfeeding. We also took her hypnobirthing classes to prepare for our birth. They were very helpful in during my birth. I used my techniques I learned from her class with my second child last month. Amanda is seriously one of *the* sweetest people I have ever met. My husband & I attended her Hypnobirth Class recently & we loved it! (I did maybe more than my husband, hah!) But, she really goes over everything and helps you with anything you need! The hands on classes more towards the end of the course really brought my husband into the whole "getting ready" phase for our baby! The class is *so* worth it, and Amanda is the cherry on top! First, let me say I knew Amanda was the right Doula for me when she asked if she could pray for me during a home visit leading up to my birth. Second, I think of Amanda practically every day because I think of my birth story almost every day. It still seems like a dream to me so I’m always replaying it! Amanda was the only person in the birthing room with me that I knew and I am forever grateful that she was there. Her support, her words of encouragement, her touch, everything was what I needed and more!